4.4 Given a scenario, troubleshoot common mobile OS and application security issues with appropriate tools. Welcome to ExamNotes by CertBlaster! This section will address Objective 4.4 Given a scenario, troubleshoot common mobile OS and application security issues with appropriate tools. We took a look at the common symptoms in Part 1 of 2 and in this Part 2 of 2 will take a look at the tools you will use to mitigate them. Your first line of defense against all virus, malware and exploits will be antimalware programs. The mobile platform requires smaller more efficient apps than the desktop versions. Apps like Malwarebytes, Pegasus, and Lookout have both Android and iOS versions. These programs detect malicious programming by comparing it to a pool of known malware called signatures. Each particular malware attack has a specific digital footprint. As the malware evolves it will alter itself and change its footprint to avoid detection. Your antimalware signatures need to be updated as frequently as possible to keep up with the evolution of the threats. Also, these applications are able to detect the slight changes that malware makes to itself and have the capability to detect malicious behavior. There are many antimalware apps to choose from. Choose wisely by comparing features and reviews. Evaluate different products. Real-time protection is the number one feature to look for. Most have a free full featured introductory trial periods. After the trial period, many antimalware apps have free versions with reduced features. Look for an app that updates automatically. Best not to have your signature updating as a manual process. It is also good to be able to have regular automatic scans. App scanners check the apps on your device for security vulnerabilities. This is another area where the need for real-time detection is clear. In addition to checking installed apps, it is important to have the ability to scan apps before they are installed. In cases of irreversible infection, your device can be wiped of all data and restored using the ROM image of the factory OS installation. The factory reset clears all storage and settings and the clean install loads the operating system the device shipped with. This may need to be updated depending on the age but it will certainly provide a solid malware free environment. When you encounter unusual behavior in an app, try stopping and restarting the app. If that does not work try restarting the device. If the problem is still unresolved does not resolve the problem, you need to remove the app by uninstalling it. Then obtain a fresh install file from the play store or App Store and install. Your online store retains a record of all previously installed apps to help you choose your new installation files. 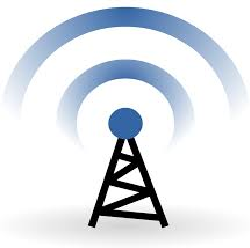 The wireless environment can be crowded and inhabited by unauthorized devices waiting for your transmissions. While WiFi analyzers can provide signal strength metrics and quality information the most useful detections concern security vulnerabilities including the location and activity of unauthorized devices. Traditionally WiFi analyzers were dedicated devices. Now your mobile device is capable of supporting a WiFi analyzer app making wireless network analysis and threat detection more accessible as opposed to the expensive single purpose alternatives. Sometimes during app troubleshooting, you will attempt to uninstall an app only to fail. An app that is reported as in use will not uninstall. Use Settings > Apps to force a running app to stop. This will usually facilitate the uninstallation. A cell tower analyzer can be used by technicians to measure the signal strength across a network and assist in device placement to provide uniform coverage. Apple devices have flexibility in the backup and restore process. 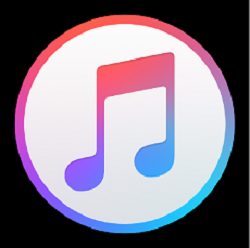 iTunes can be used to backup, sync mobile content with your MAC or PC. Then it can be used to restore content from the computer to the mobile device. The size of the backup is only limited by the available space on the Mac/PC. Encrypted backups can be selected but encryption is off by default. The iCloud functionality is much the same as iTunes with the main differences being encryption (always on), backup size and iCloud’s wireless capability. The free storage on iCloud is 5GB and up to 2TB is available. Often it is advisable to use both iCloud and iTunes for backups to ensure availability. Apple Configurator can be used to manage profiles, apps and backup settings including wiping the device and selectively create an instance with the iOS and individual apps to be deployed. The configurator can work with the iCloud and is scalable to configure multiple devices. It does not perform backup and sync, it configures the device to perform these functions. Google sync has been replaced by GoogleDrive to synchronize mail, contacts, photos and other selected content for the personal user. Google Sync is only available to G Suite, Drive for Work, Government, and Education customers. The Google Drive provides up to 15GB free storage with a Gmail account. 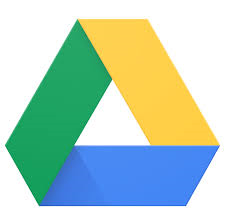 Download Google Drive and a Google Drive folder will be created and you can select files in the Cloud to be synchronized with your mobile device. Desktop/laptop GoogleDrive folders begin synching immediately. Microsoft’s OneDrive is available to Windows, Android and iOS devices. It offers 5GB of free storage which can be increased to 1TB with an Office 365 subscription. That is everything for objective 4.4 which is the final objective in Main Domain 4.0 Software Troubleshooting. You are very close to completion! There is only one Main Domain remaining – 5.0 Operational Procedures. Keep up the good work and we’ll see you soon in 5.0. Good luck on the test!